The Rosie Project by Graeme Simsion swiftly became one of my favourite books.get out of a rut and acted a welcome antidote to homesickness when I was living in Barcelona. I also included it in my mood-boosting and feel-good books list for the summer. Now that the book’s sequel, The Rosie Effect, is available on the shelves of all good bookshops (at least here in the UK), a follow-up review is very much required. Could it ever be as good as The Rosie Project? I think expecting the sequel to be as good as the original is a bit too demanding in this case. I would certainly choose The Rosie Project as the better book, but The Rosie Effect doesn’t let the author down. It also reminded me why precisely why I loved the characters. Don Tillman is a marvellous creation, and surely the best professor of genetics in literature. At we enter the book he’s now married to Rosie Jarman, ‘the world’s most perfect woman’, and he’s soon to discover she’s pregnant with his child. However, a very real question arises: can someone who struggles socially be a good partner and parent? The book progresses from this point in all sorts of wonderful directions. We experience Don’s feelings of heartbreak (in Don’s own way, of course) as Rosie moves away from him, and we hope for their reconciliation. As to be expected, the book isn’t without it’s humour. There’s the Bluefin Tuna Incident, the Playground Incident, and the Antenatal Uproar. You’ll have to find out for yourself what these entail. I was happy in the way that I would be happy if the captain of an aircraft in which I was travelling announced that he had succeeded in restarting one engine after both had failed. Pleased that I would now probably survive, but shocked that the situation had arisen in the first place, and expecting a thorough investigation into the circumstances. For me, the wonder of The Rosie Project was in meeting Don and Rosie and hearing Graeme Simsion’s superb storytelling ability for the first time. As the sequel, however, The Rosie Effect was very welcome reading. The book made me realise that I was stressed, and I did need time to wind down, and it provided the perfect solution. It’s hard to beat the feeling of knowing you have a great novel to look forward to after a day of working hard. 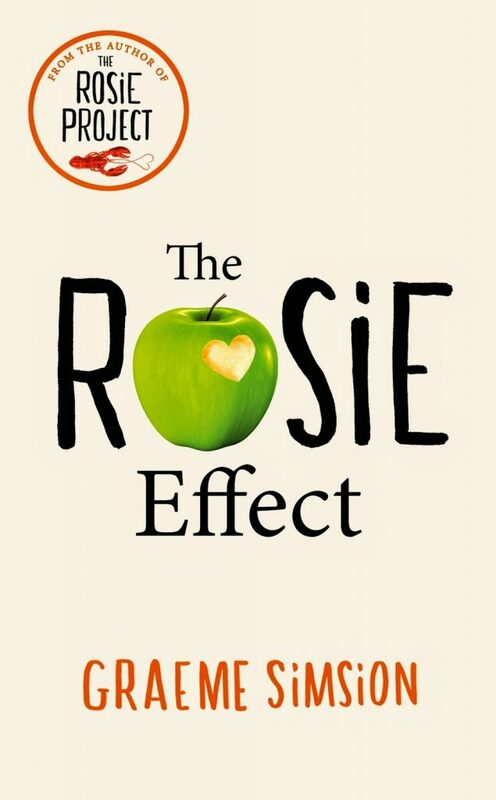 If you’re in need of a mood-boosting or relaxing book, pick up The Rosie Effect and try reading it for what it is: a heartwarming and uplifting story, rather than a sequel which needs to surpass the original. I have not read either book but I want to at least read The Rosie Project. Sequels are often, but not always a disappointment. I wonder if there will be more books.